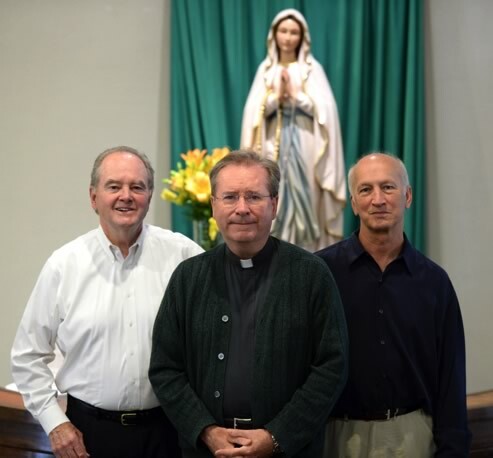 We are a 501(c)3 non-profit Catholic apostolate based out of Northern California. Our mission is accomplished by spreading the Mystical Humanity of Christ – the Divine indwelling – throughout the United States and eventually worldwide. "I've always been of the mind that the Mystical Humanity of Christ was the life of the interior Indwelling of God’s Holy Spirit. That Christ, the Blessed Trinity itself, dwells within us. It's that we become His other humanity, His resurrected life. He died and left the world, true, but He continues to live in His resurrected life through our humanities. To me this is the very heart and apex of our Catholic faith. It is a devotion (a way of prayer) which is strengthened by the Eucharist – the cornerstone of our faith." I am pleased to recommend Michael McDevitt and the organization he represents, The Mystical Humanity of Christ. With Michael Huston and other associates, The Mystical Humanity of Christ has conducted over 80 retreats at parishes throughout California and Utah, including the "Year of the Eucharist" retreat for the Archdiocese of San Francisco and the "Year of Saint Paul" retreat for the diocese of Salt Lake City. It has come to my attention that the Mystical Humanity of Christ is receiving inquiries nationwide. 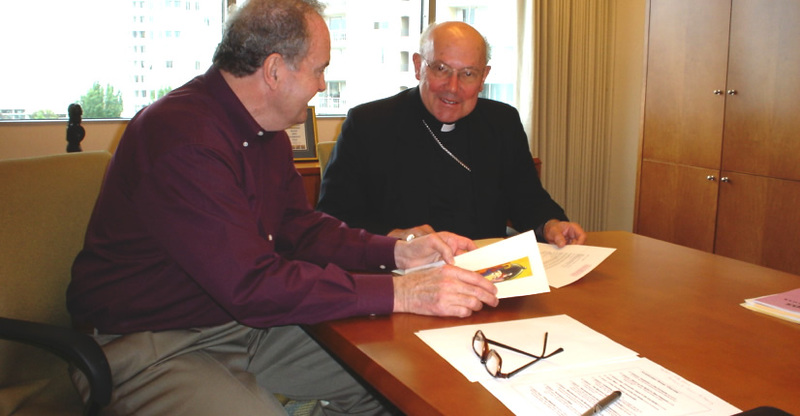 With this letter, I wholeheartedly and confidently endorse Michael McDevitt and The Mystical Humanity of Christ to you as an outstanding organization dedicated to spreading Eucharistic spirituality. "I consider this (the Mystical Humanity of Christ as Eucharistic Spirituality) to be an Apostolic tool." 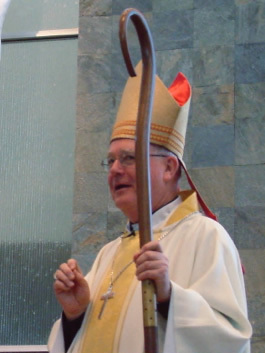 William J. Cardinal Levada, S.T.D. "Please know of my prayers for the continued success of your ministry as I ask you that you keep me in your intentions." "From the bottom of my heart, I want to thank you for moving our community members even closer to loving God and each other. The positive comments have not stopped and some real growth has come from this community experience of Christ's humanity and divinity – the Mystical Humanity of Christ. In particular, our young people were touched." 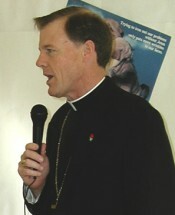 Father Gary is renowned for his role as exorcist for the Diocese of San Jose. 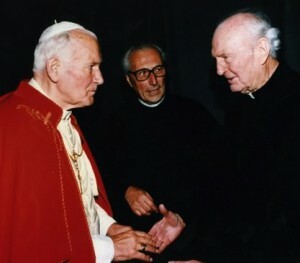 The story of his training in Rome is depicted in the book: The Rite, by Matt Baglio, and the movie by the same title staring Anthony Hopkins and Colin O’Donaghue. 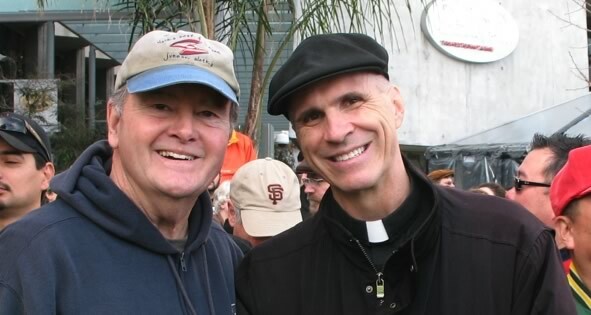 Father Vito Perrone, COSJ, Founder, The Contemplatives of Saint Joseph shown here with Michael McDevitt at the West Coast Walk for Life. 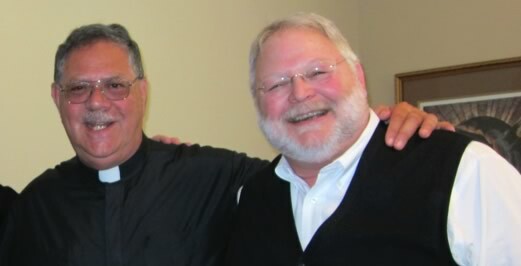 A contemplative priest, Father Vito spends the entire week in prayer and the weekend in active ministry, including retreats and spiritual direction. Dedicated in memory of Rob Bussell, retreat designer, a true ambassador for Christ, leader of numerous parish retreats and dear friend. Rob was a convert to the Catholic faith who participated in the RCIA program at his home parish in Scotts Valley, California (Diocese of Monterey). Ready to book a one-day retreat or an evening talk?